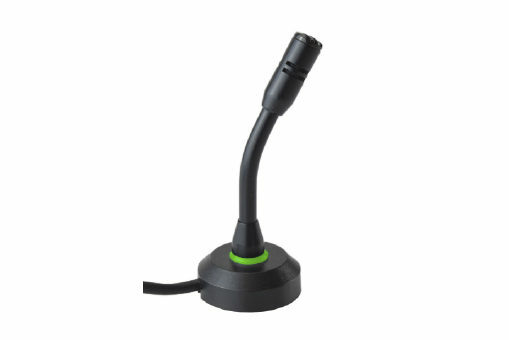 Our Halo Microphone with Stem features noise cancelling and a halo light indication at the base of the microphone stem. The halo lights up green when the system is working correctly and red when a fault is detected. It can be either screwed down or mounted using a standard self-adhesive pad, while the microphone is available in metal or without a halo LED indication.